Make it happen in the Heart of Dixie. Get the word out about your next gathering from Mobile to Huntsville with the Alabama Poster. Printed with images of a fisherman enjoying the state's natural beauty, this poster has eight spaces for your custom photos. 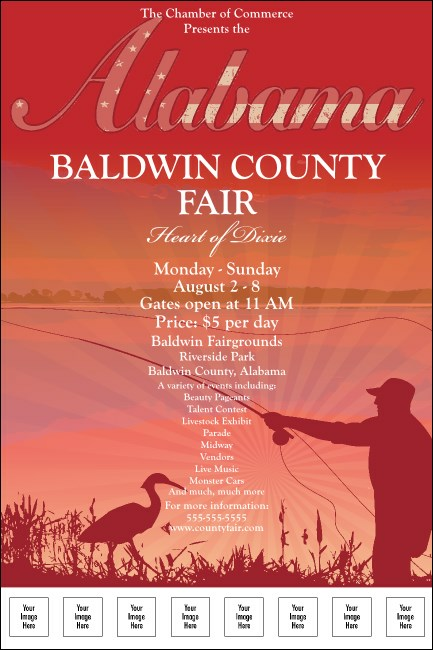 For all your local Alabama events, discover the matching promotional materials at TicketPrinting.com.